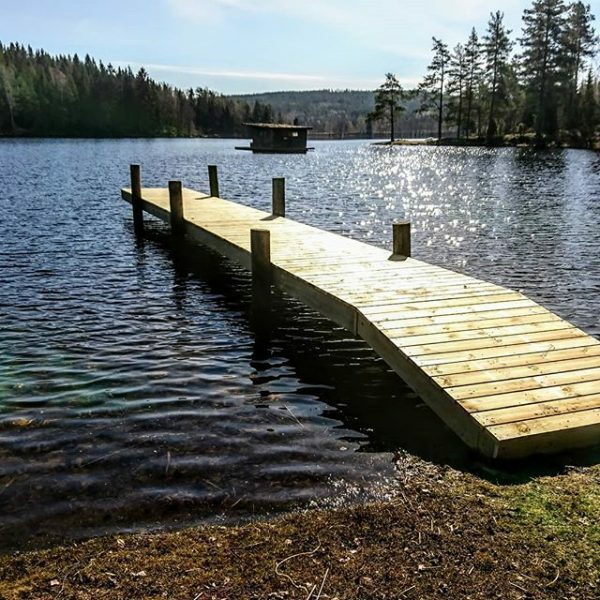 Naturbyn is a unique Swedish nature village, hidden among spruces and pines at a quiet bay in Lake Eldan Värmland, with hand built log cabins and cottages, treehouses and a wooden houseboat. Here you can relax and enjoy the beauty that nature has to offer. 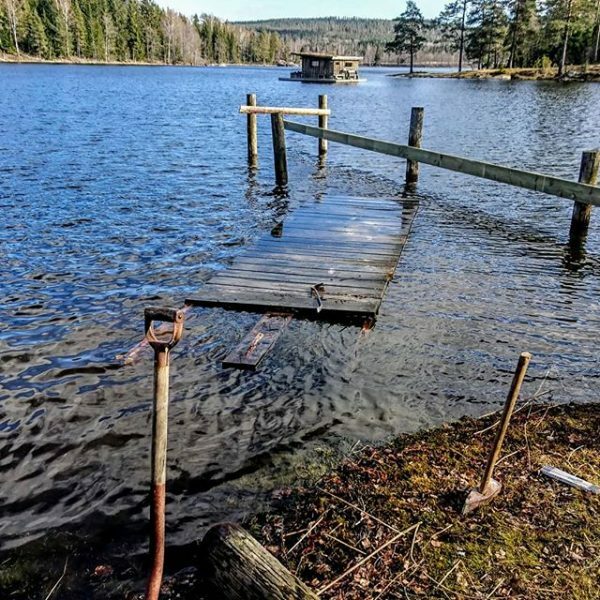 From cooking on an open fire, dipping into the wooden fire-heated hot tub to jumping into the refreshing lake after your sauna. 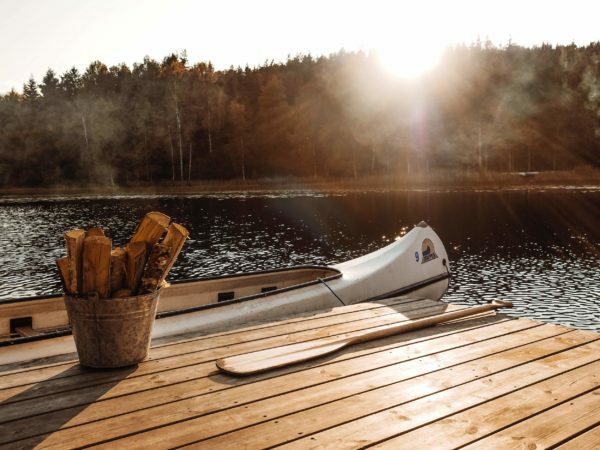 During the day you can take a canoe trip on the lake where there are lots of small islands and bathing places, that offers you privacy and you can be by yourself. 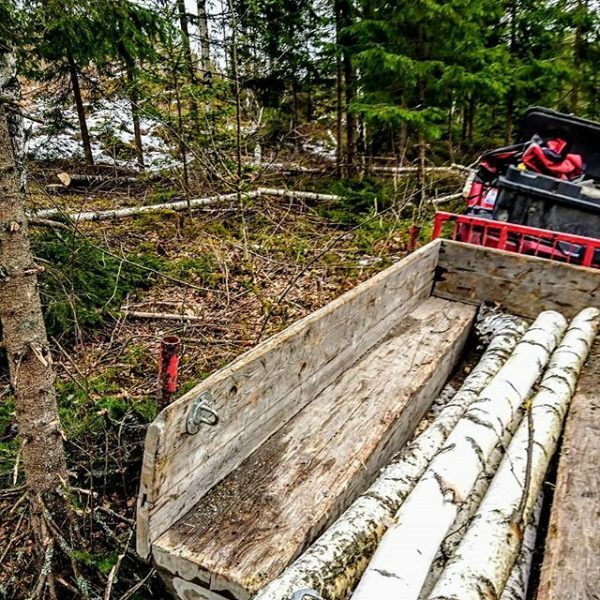 The lake has plenty of fish, so why not try to catch a pike perch for lunch? 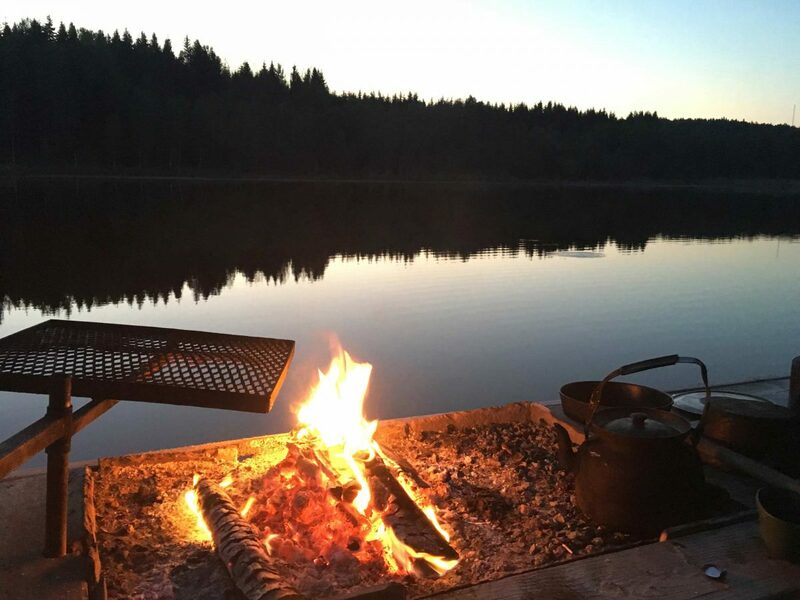 You can prepare your meals and coffee at the open fireplace and fill your mug with water from a natural spring with the purest water you’ll ever taste. 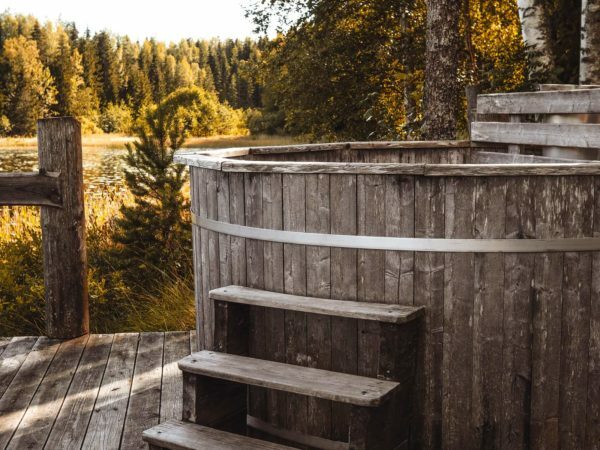 In the evening you take a relaxing bath in the wooden fire-heated hot tub or take a sauna and find your inner peace. While you dream away in the soft light of the paraffin lamps and listen to the crackling sounds from the steel Jøtul wood stove there is nothing but silence. In the morning you wake up with just the sound of a woodpecker and the early bird. 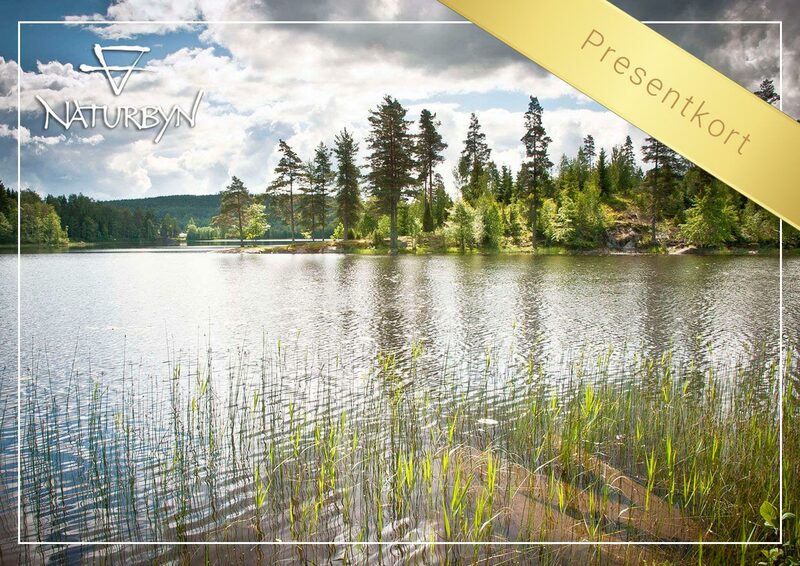 Take a refreshing bath overlooking the sun rise over the lake Eldan and feel you are surrounded by mother nature. What more do you need? No electricity, no WIFI, no distractions. Just you and nature. 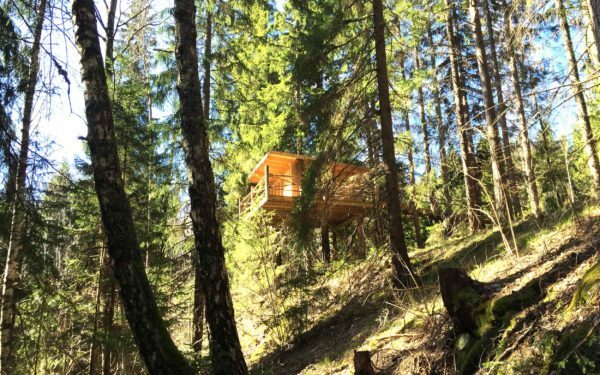 At Naturbyn we offer three different types of hand-built login cabins. Choose your accommodation on water in our houseboat, on land in one of our forest houses or in the air between the trees in one of our treehouses. 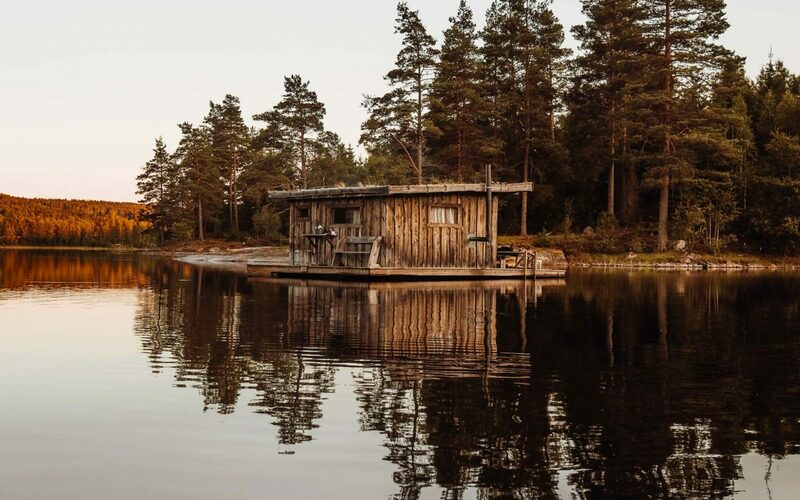 All the cabins have their own private terrace with handmade furniture, a cozy corner with a table and chairs inside the hut, comfortable beds and a spectacular view. Continue reading on one of the following pages and choose between living on water, on land or in the air. Enjoy. "An absolute idyll. What a perfect place! 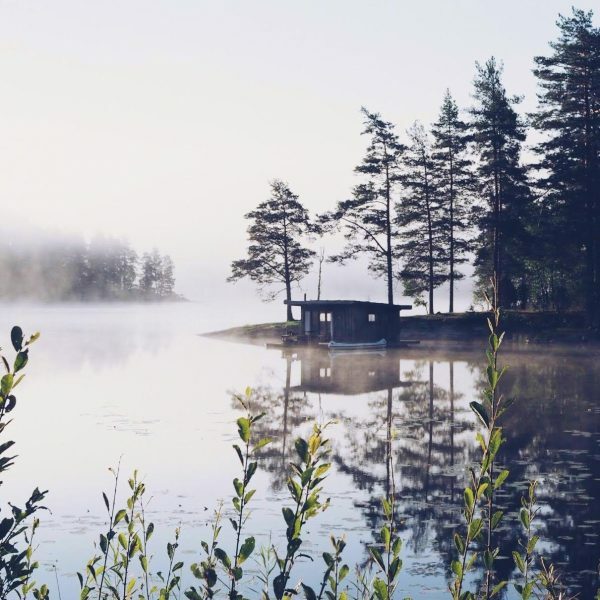 We stayed in the floating cabin, waking up with a different view of the lake each day." 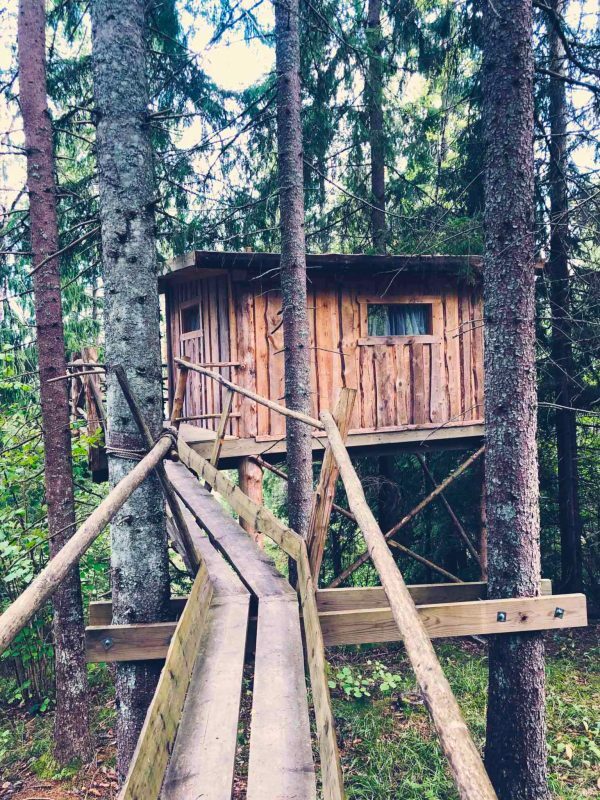 "Our stay at Naturbyn in a treehouse was the ultimate escape and such an energy kick"
"Great place in the nature. 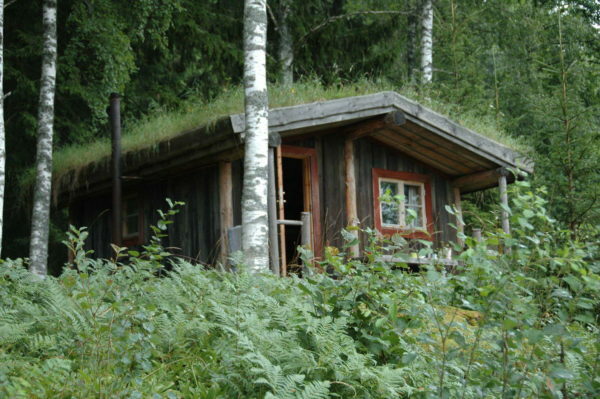 This is what ecotourism and mindfulness is all about." Nature gives us peace and strength. Allow yourself to go with the flow of nature without distraction of daily life. 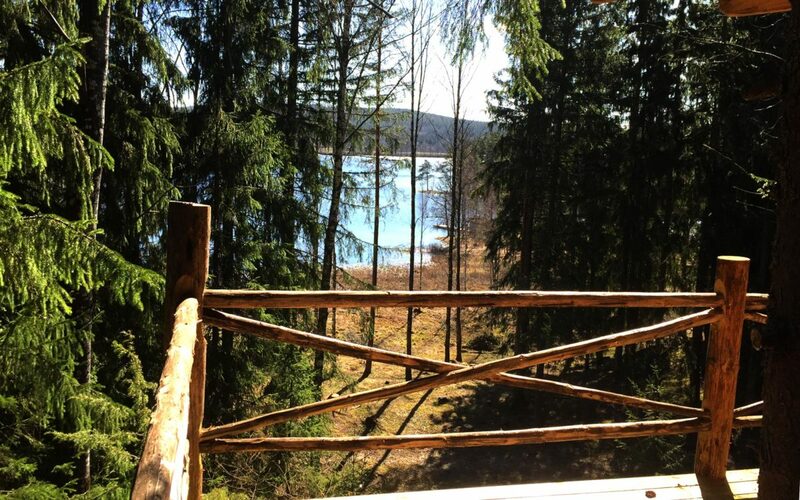 At Naturbyn you can have a true break in nature. Enjoy the early morning that awakes. Listen to choir of birds singing around you. The fog on the lake is moving slowly and makes its way for the warm morning sun. With your own open fireplace you can sit outside for hours and enjoy the quiet nights and stars lighting up the sky if it’s clear. Nature provides us with a daily new view depending on the weather. 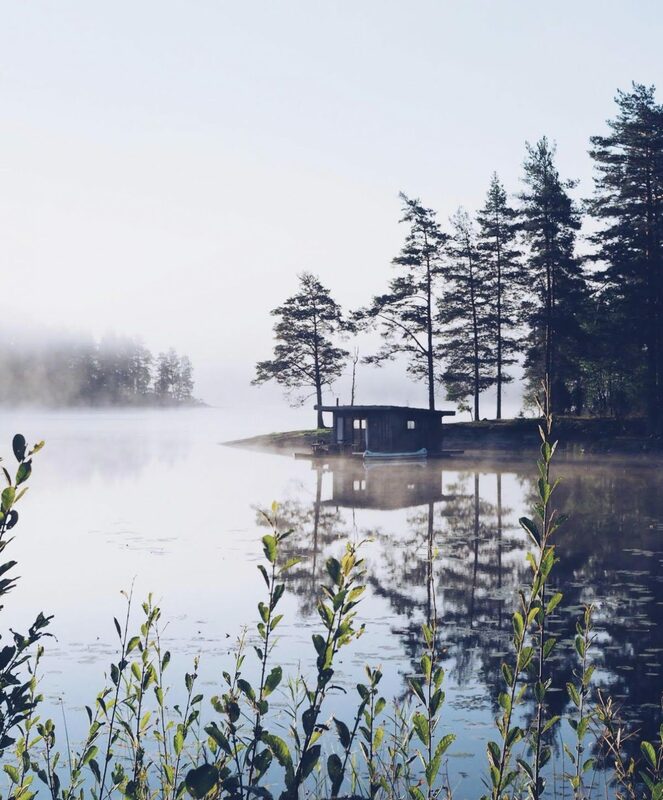 All the cabins have their own unique view on the lake. 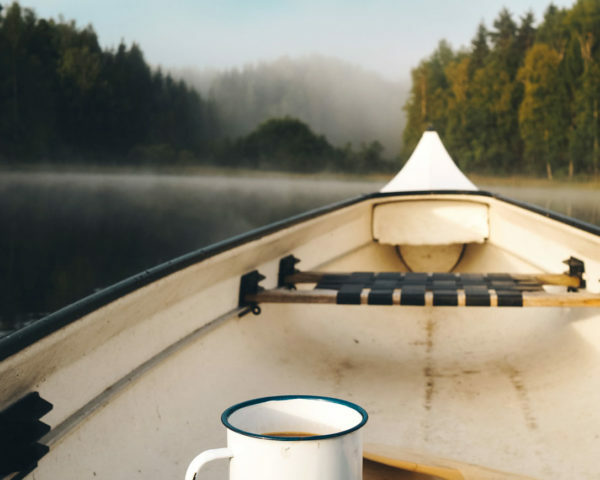 Whether it’s on water or between the treetops. 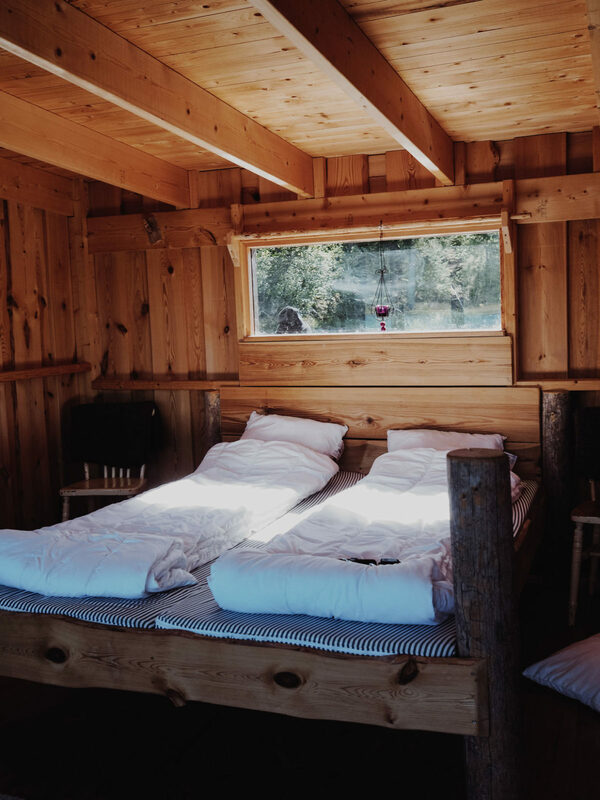 All the cabins have their own private terrace with handmade furniture, a cozy corner with a table and chairs inside the hut, comfortable beds and a spectacular view. Get a unique present in nature for your friends, family and relations. 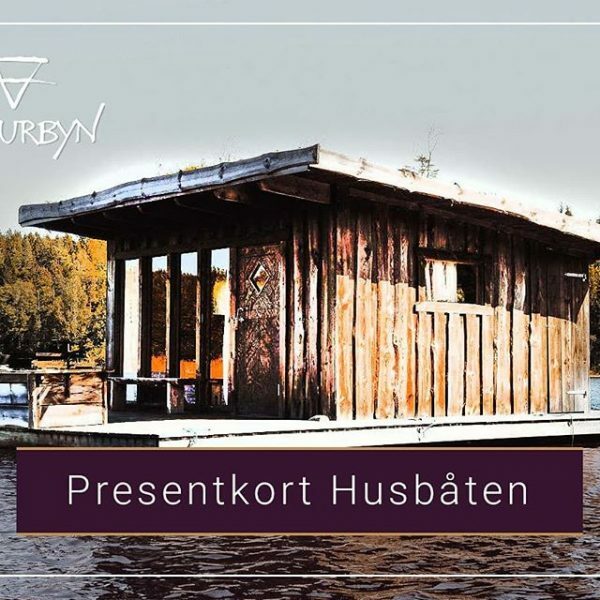 Buy a Naturbyn giftcard (presentkort)! "Beautiful, peaceful and perfectly close to nature. Get away from the stress of everyday city life." It is possible to make special group arrangements here at Naturbyn. If you like to plan your event for small groups, such as a wedding, yoga retreat, a team building event, travel incentives or an company incentive program. We can arrange everything to make your event an unforgettable success. Think about a full program including authentic breakfast, lunch and dinner. 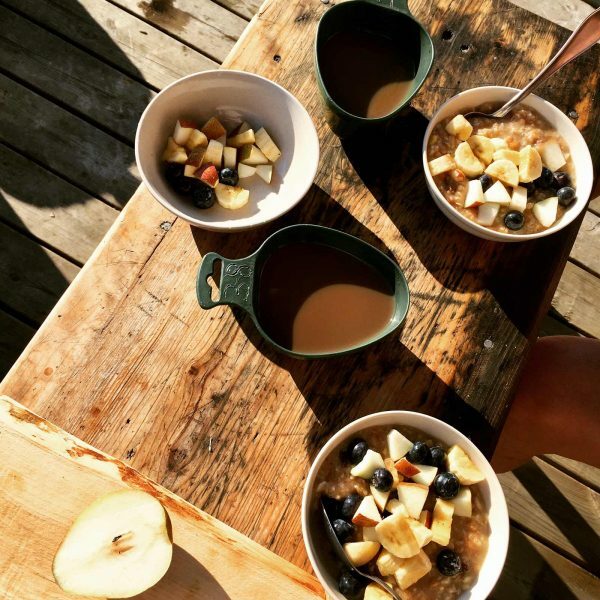 At Naturbyn we work together with a local professional chef cook, who masters cooking outdoors and serves wonderful dishes with traditional recipes and local ingredients. If you interested in a special arrangement for your event, get in contact! We’re happy to think with you, create ideas and make you an offer. Are you ready for a nature break? Hej! We are using cookies for understanding website experiences and to keep improving our website.